Samsung has launched the Ice Blue variants of its Galaxy S9 and S9 Plus phones in China. Now the colour options include Burgundy Red, Coral Blue, Lilac Purple, Midnight Black, Sunrise Gold, Titanium Grey, and the newly launched Ice Blue. The Ice Blue variant is the first gradient style colour option in the flagship range from Samsung. 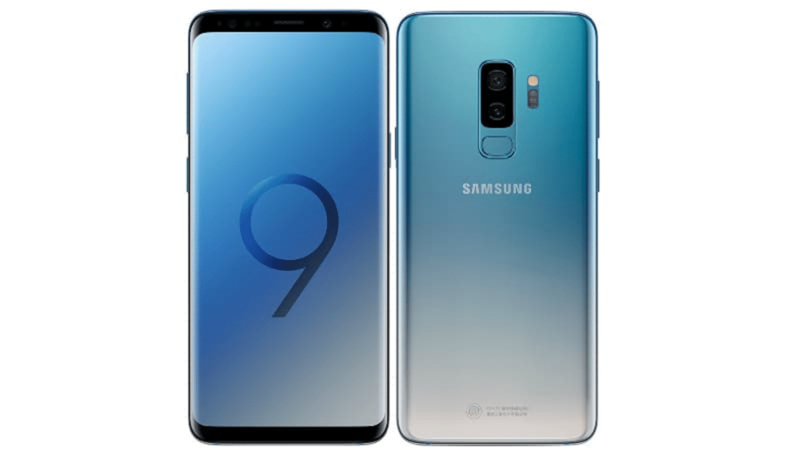 The S9 in Ice Blue variant is now available for pre-ordering in China only, in the 128GB option. The phone is priced at around CNY 5,499 (translating to Rs. 57,000). The Ice Blue S9 will start shipping from November 20. Talking of the specs, in brief, then the S9 comes with a 5.8inch QHD+ Curved Super AMOLED panel with an aspect ratio of 18.5:9. The power comes from the Exynos 9810 processor (Samsung’s own chipset). Battery capacity is 3,000mAh, while the RAM is 4GB. Coming towards the S9 Plus model, then the phone’s Ice Blue variant will be priced in China for CNY 6,499 (translating to about Rs. 67,400) and the shipping will start from November 26. The specs include a large 6.2inch QHD+ Curved Super AMOLED display with an aspect ratio of 18.5:9. It is also powered by the Exynos 9810 chipset. The battery capacity is 3,500mAh, while the RAM is 6GB. Both the phones have got a rear-camera setup of 12MP primary Dual-Pixel sensor (f/1.5-2.4 aperture), with Optical Image Stabilization. Although the S9 Plus has an extra rear camera also, a 12MP wide-angle rear sensor. The front cameras on both models are same, with an 8MP autofocus sensor (having an aperture of f/1.7). The global availability of the Ice Blue variants of these two phones, however, is not official yet. But Samsung may announce about it soon. The line-up is the latest one in the flagship series by Samsung and people are eagerly waiting for the upcoming S10 model, which will be arriving in 2019.